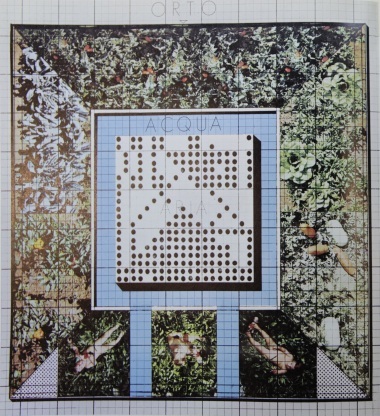 Coming across a project entitled "The Vegetable Garden House" from the Italian collective in the 1970's calling themselves"Group 9999," the concept and ideals of the garden are manifested in a way that beholds it as a religious icon, or an altar, maybe. Our project must be understood, therefore, as the model of a real object, which must find its place in the home. It is an eco-survival device, to be reproduced on a global scale. It is itself a habitable and consumable place in accordance with the principles of the recycling of resources. Intentionally, it makes use of very simple elements: a garden, water and an air bed. [through this project] Man is in direct contact with nature: he follows its growth and development; [...]. He establishes a symbiotic relationship. 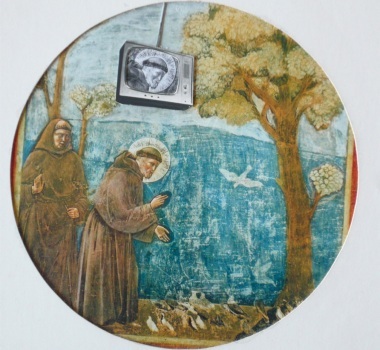 [...] If technology keeps on destroying nature, the possibility of having contact with the vegetable kingdom in its integral cycle will assume even greater significance. The vegetable garden will become the sacred place of a new religion. Essentially what they are describing is the role many landscape architects have played for decades. The garden as a retreat from the "horrors" of urban plight. But perhaps a bit of a pessimistic outlook, as the only sanctuary in the future to experience "nature" within the city and even beyond would be personalised gardens. While portrayed as a radical notion, Garrett Eckbo, Thomas Church, and James Rose among others were already expanding the idea of the garden, and blurring the lines of interior/exterior space. And one of the most important intentions of landscape architecture, is to bring what Group 9999 discusses as man's inherent mental and physical need for nature to the city confines. We should not have to choose between life in the city or the countryside: both are essential, but today it is nature, beleaguered in the country, too scarce in the city that has become precious.